Why You’ll Dig It: The Predator modules are designed to provide you with the fastest speeds, lowest latencies, and highest capacities in the HyperX lineup. This 16GB kit can operate at 2,133MHz and offers two Intel XMP profiles. Profile #1 runs at 2,133MHz with latency timings of 11-12-11 at a voltage of 1.6V. Profile #2 comes in at 1,600MHz with latency timings of 9-9-9 and a voltage of 1.5V. The Predator heat spreader includes a line of tall fins to enhance heat dissipation and ensure reliability. The familiar blue HyperX look has been slightly altered with a black “X” that crisscrosses the middle of the heat spreader. Kingston’s HyperX Predator memory is 100% factory-tested and backed with a lifetime warranty. Who Should Apply: Enthusiasts who want a reliable, attractive memory kit that provides a couple of high-performance Intel XMP profiles to choose from. Why You’ll Dig It: This limited edition kit is designed for gamers and enthusiasts who want to ensure stability and performance under intense loads. The Intel Extreme Masters Memory is based on Patriot’s Viper 3 Series heat shield for outstanding dissipation, and each module is hand-tested on the latest Intel platforms. This dual-channel kit pro-vides you with 8GB of memory via two 4GB modules. Patriot Memory designs it to operate at up to 2,133MHz with timings of 11-11-11-27 and a voltage of 1.5V. 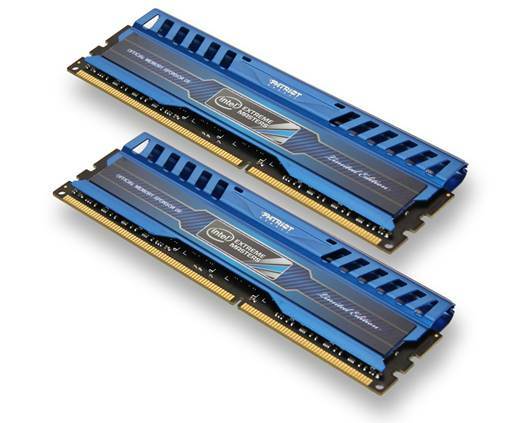 The Intel Extreme Masters Memory is also avail-able in 16GB and 32GB kits with speeds from 1,600MHz to 2,133MHz. All modules operate at 1.5V. Who Should Apply: Power users and gamers who want a fast kit to put into their high-end rig. It’s also a good choice for people who push their systems through long and demanding gaming sessions, where the modules’ superior thermal protection will help ensure stability. Why You’ll Dig It: This quad-channel kit has been certified for use on Intel’s X79 platform. Each module features a black heat spreader that wraps around the sides of the DIMM. The heat spreaders’ fins are only slightly larger than the DIMM, so you shouldn’t need to worry about the heat spreaders interfering with your CPU cooler. In terms of performance, the four 4GB modules are designed to run at 2,133MHz with timings of 9-11-10-28. The kit operates at 1.65V at that speed, but there’s also a JEDEC 1,600MHz profile that operates at 1.5V, if you need to run your memory at the lower voltage. G.SKILL covers the modules with a lifetime warranty and provides you with a detailed list of qualified motherboards via its website. Who Should Apply: Enthusiasts looking for an affordable quad-channel kit that’s been tested on a variety of Intel-based motherboards. Why You’ll Dig It: ADATA’s XPG Gaming v2.0 Series modules offer extended heat spreaders and an 8-layer circuit board lined with two ounces of copper. The result is a rock-solid stable 8GB DDR3-1866 kit that runs at 9-11-9-27 timings and provides an Intel XMP pro-file to lock in the 1,866MHz rated speed. 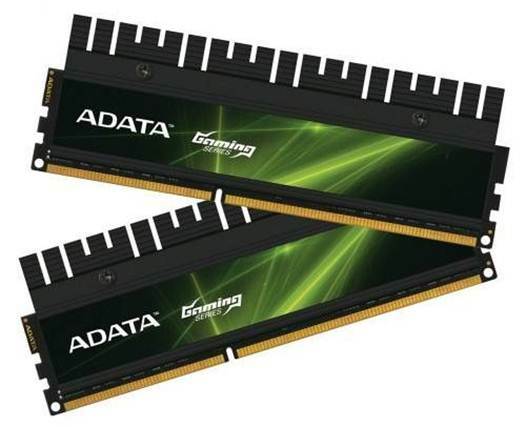 The heat spreaders utilize ADATA’s Thermal Conductive Technology, where the memory chips’ surfaces make direct contact with the heat spreader to maintain low temperatures and stability. The extruded fins also help to increase surface area for improved heat dissipation. ADATA indicates that its XPG Gaming v2.0 Series memory chips are selected based on a strict filtering process to deliver high performance and low voltage levels. Who Should Apply: Power users who demand high performance, quick response times, and stability from their DRAM. Why You’ll Dig It: Upgrade your CPU memory power today with the 4GB DDR3-1600 kit. This kit includes two 2GB DIMM modules built to JEDEC standards for dual channel enabled systems. Boost your desktop PC with higher bandwidth interface technology at 30% less power consumption than DDR2 modules. Centon offers a life-time warranty on all memory modules. Who Should Apply: Desktop PC owners looking to improve memory capacity and performance by increasing both bus and peak transfer rates. Why You’ll Dig It: GeIL’s EVO VELOCE memory lineup can handle up to 3,000MHz; with this kit, you’ll enjoy the same high-performance heat spreader on two 4GB modules that run at 1,600MHz. The heat spreader features GeIL’s MTCD (Maximum Thermal Conduction & Dissipation) technology that allows GeIL to run the 1,600MHz modules with low latency timings of 9-9-9-28. There are also two designs for the EVO VELOCE memory. The standard modules feature a metallic hot-rod red, while a limited number are available with a stunning frost white color scheme. The dual-channel kit runs at 1.5V and is Intel XMP-ready. Who Should Apply: Enthusiasts who want RAM that offers a cutting-edge heat spreader design for efficient cooling and improved reliability. Why You’ll Dig It: This 8GB Registered ECC module allows for reduced electrical loads to the system allowing more modules per system for greater overall memory density. ECC functionality will identify and correct data errors providing greater reliability for demanding workloads. PNY designs this 8GB module to run at 1,333MHz with timings of 9-9-9-24. PNY also backs the module with a lifetime warranty and provides free 24-hour tech support. Take full advantage of your software by upgrading your memory and opti-mizing the efficiency of your PC with this PNY memory upgrade. 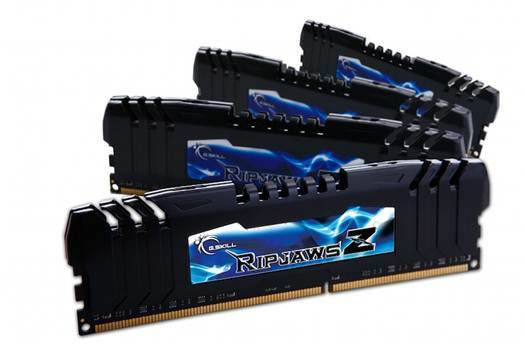 Who Should Apply: People looking to increase the memory in their workstation or server.